The Arts Council of Lebanon is dedicated to highlighting, promoting, maintaining, developing and growing the arts community in Lebanon, Ohio. demonstrate, refine skills and display their artworks within the community throughout the year. Exposure - a monthly television series where Lebanon artists and art organizations are interviewed. These programs average 3,000 viewers per episode. The Arts Council of Lebanon continues to move forward with our mission and plans even more exciting events for the future. Lebanon truly is the heART of it all! 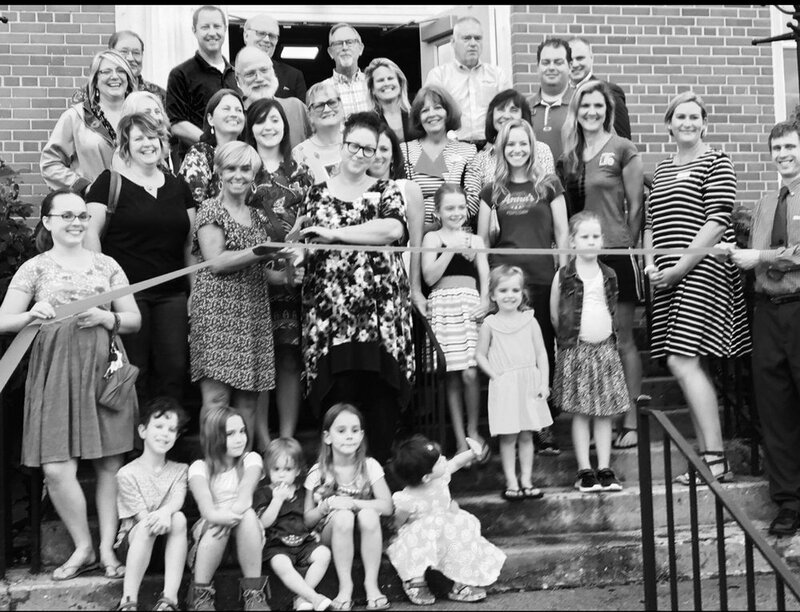 Ribbon Cutting Ceremony for The Arts Council of Lebanon's new offices/classroom/exhibit space located at 105 South Broadway, Lebanon, Ohio.